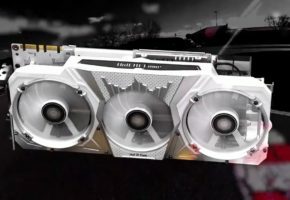 Dutch graphics manufacturer released their overclocked versions of Radeon HD 7800 series cards. 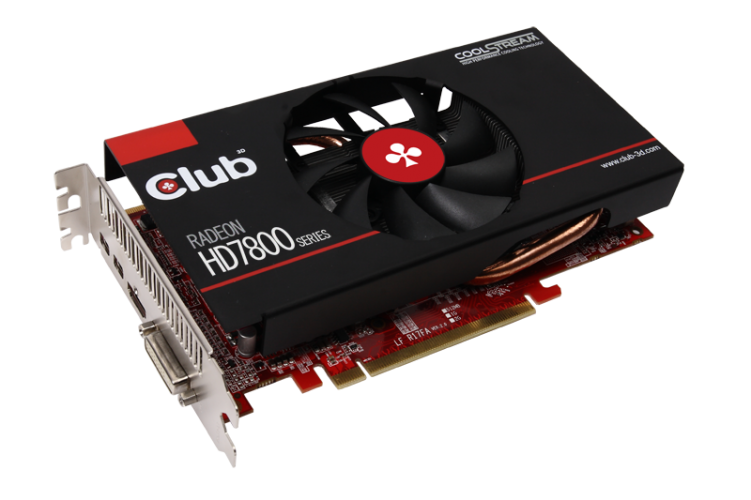 Club 3D proudly presents the Club 3D Radeon™ HD 7870 CoolStream Edition graphics card, featuring the latest innovation CoolStream High Performance Cooling Technology, and a giant leap forward in GPU technology with the world’s second GPU to break the GigaHertz barrier. 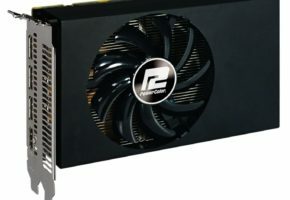 Get ready for the future with 28nm GPU technology, Graphics Core Next Architecture, AMD App Acceleration and support for Ultra HD 4096p resolutions and PCI Express 3.0. 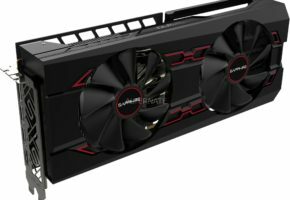 If you expect above average performance of your Graphics card, Club 3D CoolStream High Performance Cooling Technology is just the kind of high performance that you have been looking for. 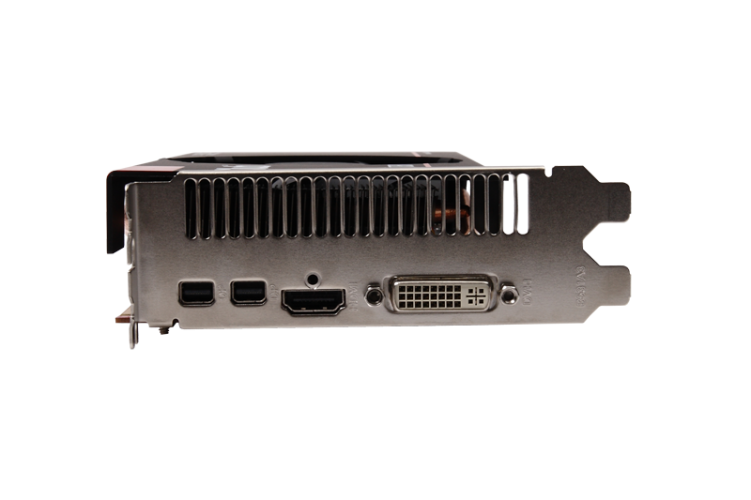 Club 3D CoolStream features high performance heatpipes that keeps the components cool and outperforms standard cooling solutions. 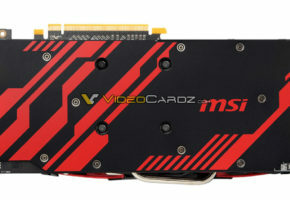 Transferring heat from the center area to each fin, ensuring enhanced heat dissipipation. 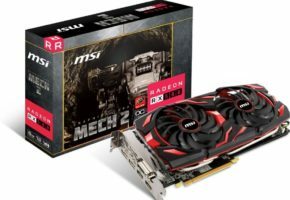 The result is a dramatic increase of performance for your gaming and multimedia experience. 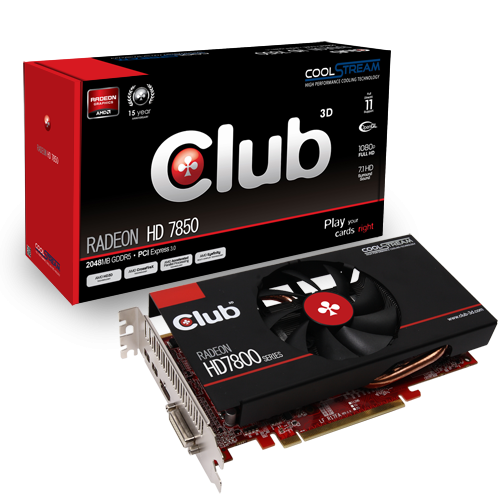 With 1280 stream processors, a 256 bit GDDR5 memory bus that provides 2.56TFLOPs of computing performance, the Club 3D Radeon™ HD 7870 CoolStream Edition graphics cards are intended for gamers who never settle. 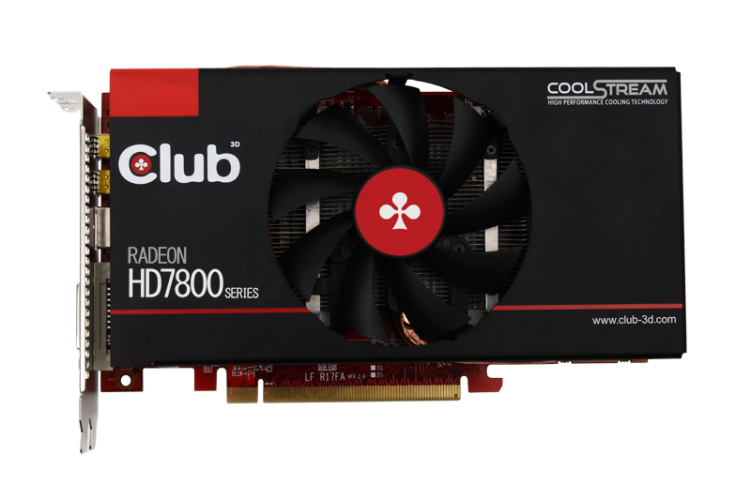 Equipped with AMD Graphics Core Next Architecture and the latest power management technology, the Club 3D Radeon™ HD 7870 CoolStream Edition is primed to enable astonishing performance and breathtaking image quality, making it the only solution for gamers who demand the best. 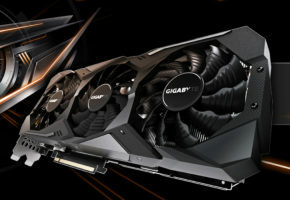 1GHzThe GigaHertz barrier has been broken. 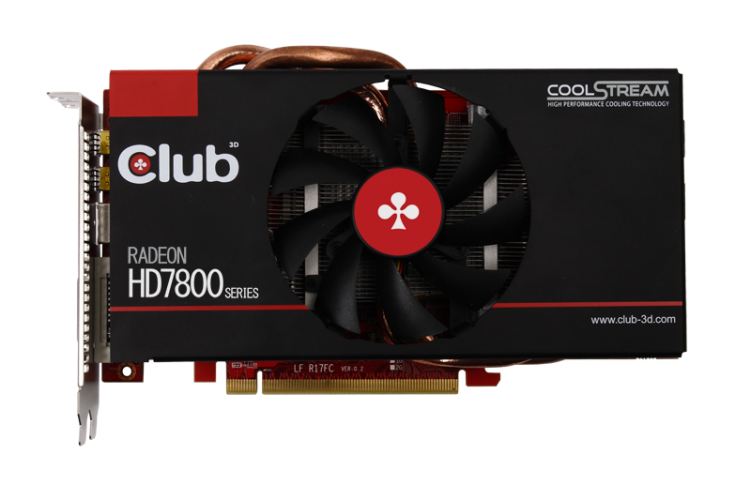 Clocked to a blistering 1GHz, the Club 3D Radeon™ HD 7870 CoolStream Edition GPU offers more than the world’s most advanced graphics: it offers the incredible performance every gamer deserves. 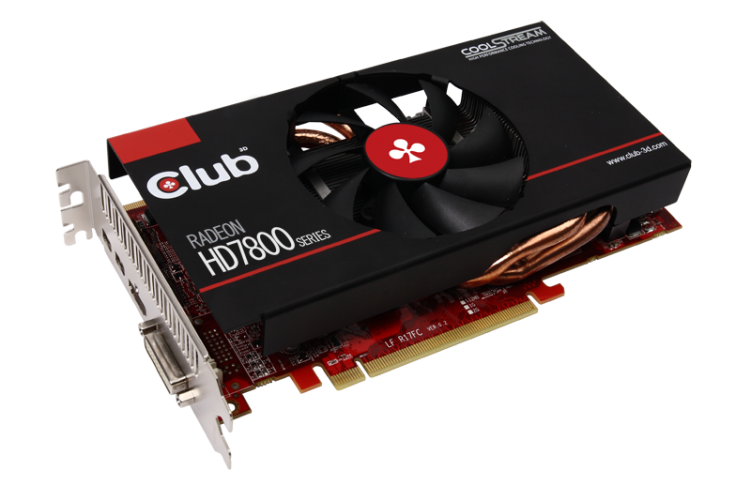 The Club 3D Radeon™ HD 7870 CoolStream Edition graphics card comes standard at 1GHz GPU clock speed with an overclocking headroom at 1.1GHz and Beyond. 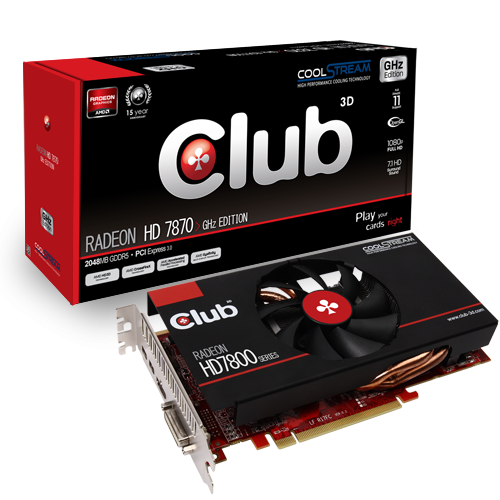 With 1024 stream processors, a 256 bit GDDR5 memory bus that provides 1.76TFLOPs of computing performance, the Club 3D Radeon™ HD 7850 CoolStream Edition graphics cards are intended for gamers who never settle. 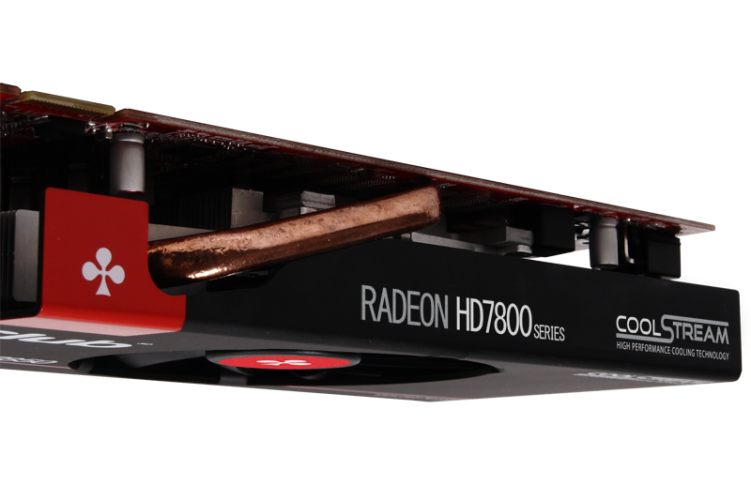 Equipped with AMD Graphics Core Next Architecture and the latest power management technology, the Club 3D Radeon™ HD 7850 CoolStream Edition is primed to enable astonishing performance and breathtaking image quality, making it the only solution for gamers who demand the best.